From WWII to Iraq the SAS has been at the forefront of armed conflict, though most people wouldn't realise it was even there. Universally acknowledged as the best special forces in the world, every member of the Regiment is a hero in his own right. However, even amongst these remarkable soldiers there are those who stand out. SAS Heroes contains former SAS soldier Pete Scholey's memories of 20 such warriors who are true heroes, although many were never recognised as such during their lives or even in death. 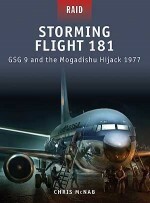 It is a collection of stories about soldiers who fought for their country with no desire to be famous, fêted or rewarded, some of whom died in action. A few received medals, and all earned the respect and admiration of their fellow soldiers. 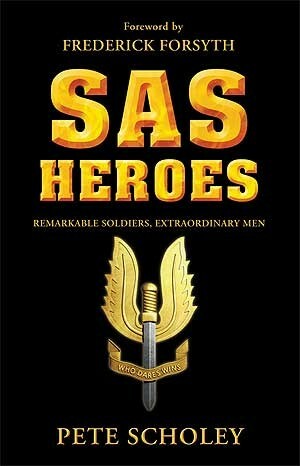 Pete Scholey was, as he put it, 'a lifer' in the most respected, admired and toughest British Army regiment, the SAS. For 20 years Pete served in some of the world's most hostile terrain, patrolling, cooking, fighting, fixing and even laughing as enemy soldiers sought to expel him and his small band of fellow soldiers from whatever foxhole, jungle or sand dune that they were holed up in. Yet Pete didn't want to be a soldier when he signed up. 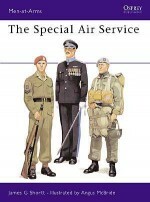 He wanted to join the RAF but, having twice failed the entrance exams, he ended up doing his National Service in the Royal Army Service Corps (RASC which he maintains stands for Run Away Someone's Coming). When he was discharged, he immediately re-enlisted, ending up in the Parachute Regiment and eventually, in 1963, in the SAS. Pete served in Borneo, Aden, Oman and Northern Ireland as well as with the regiment's CRW anti-terrorist team. On leaving the regiment in 1982, Pete worked as a security consultant before settling down with his wife, Carolyn, in Hereford.